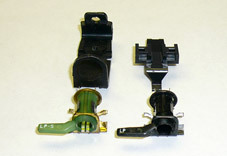 We have a huge selection of parts for older phonos. As always, if it’s for a V-M product, please Contact Us with the V-M model number of the phono or record changer and description or part number of what you need. Cartridge clips that do double duty – conventional solder type clips and adapter clips for pushing on existing tone arm wires with many types of flat clips! Click here for details. 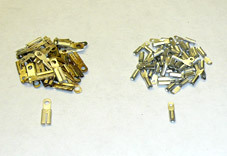 The following parts are only a sample and these are the most needed for many brands of phonos, based on cartridge type. Most of these are now available using the search menu above. 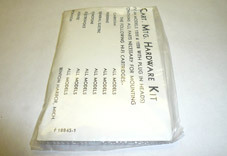 If you don’t see what you need on the menus please Contact Us with make, model and what you are looking for. Cartridge knobs - for Zenith-VM “bobbing” cartridges, GE “variable reluctance” magnetic cartridges, and “turnover style” cartridge knobs for crystal cartridges. (specify part number or V-M record changer model number).